Our Open Air Nursery has been described by our customers as “paradise in New England.” In spring and summer, it’s in full bloom every day with a riot of color, scent, and blossoms. And, for the holidays, we transform the nursery into a winter wonderland full of wreaths, garlands, kissing balls, and Christmas trees of all shapes and sizes. 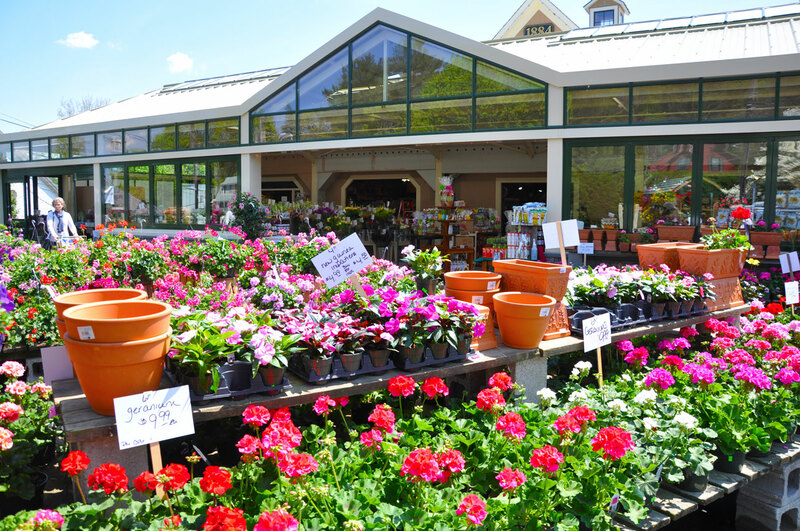 See our Open Air Nursery for beautiful hanging baskets, annuals, perennials, shrubs & more!